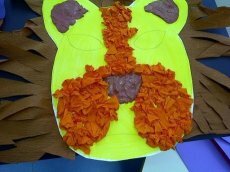 So at the zoo animals topic your young kids can make this paper lion mask. Boys will specially love making a fierce, fierce lion!! !